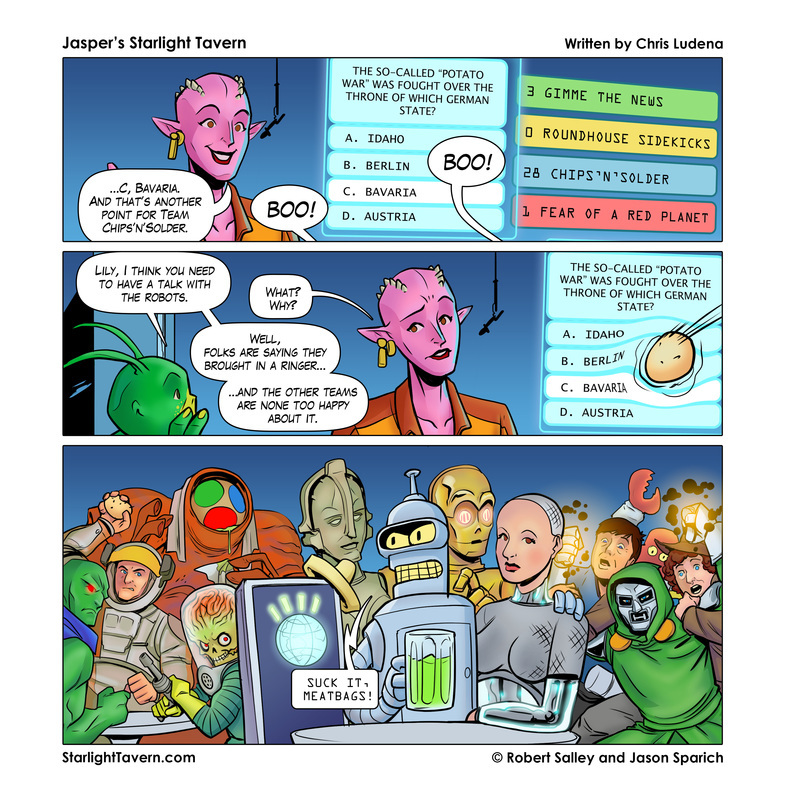 And so you can get your Starlight Tavern fix, here is Strip 51! Jasper's Starlight Tavern Strip 42 - Worth the wait! We know, we know, we're a day behind! These holidays got our webmaster Josh Werner all sorts of turned around and disrupted our scheduling a bit. But here we have Strip 42, and it's worth the wait! Check out who swings into the Tavern this week!!! We'll see you again Wednesday of next week for Strip 43!